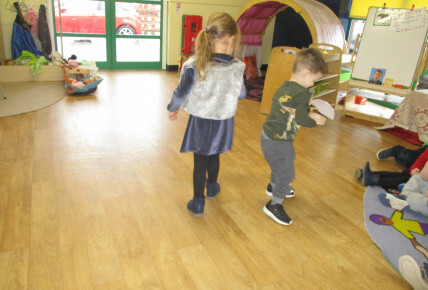 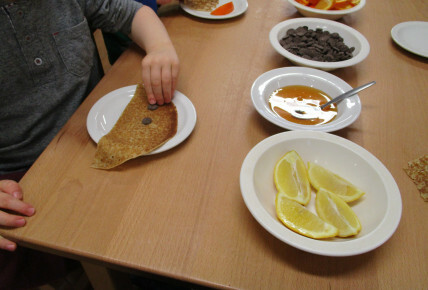 The children took part in celebrating pancake day by watching pancakes be made and then using those pancakes and choosing toppings to go on them. 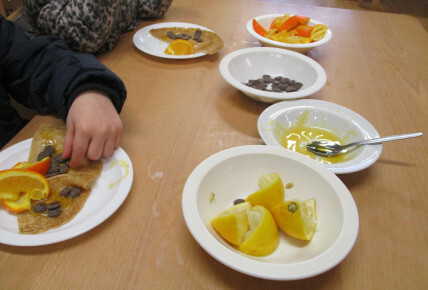 They had a selection of healthy toppings such as blueberries, oranges, strawberries etc. 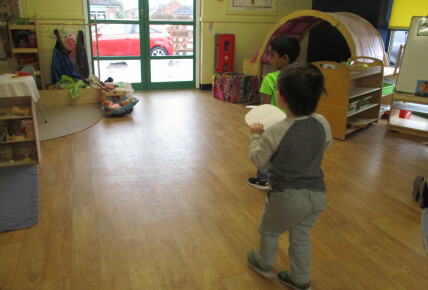 All children thoroughly enjoyed eating them!